Whirlpool and bath tap tap in chrome finish. 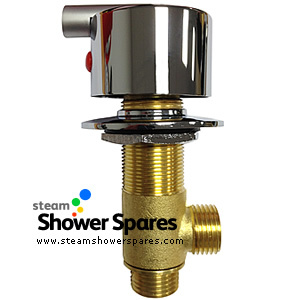 All connections are 15mm threaded with brass main body. The hole in the top of the bath should be wide enough in diameter to allow the 28mm thread of the main body through.